Tuesday 2nd September 2014 – 11.10am – Chris Kowalik. 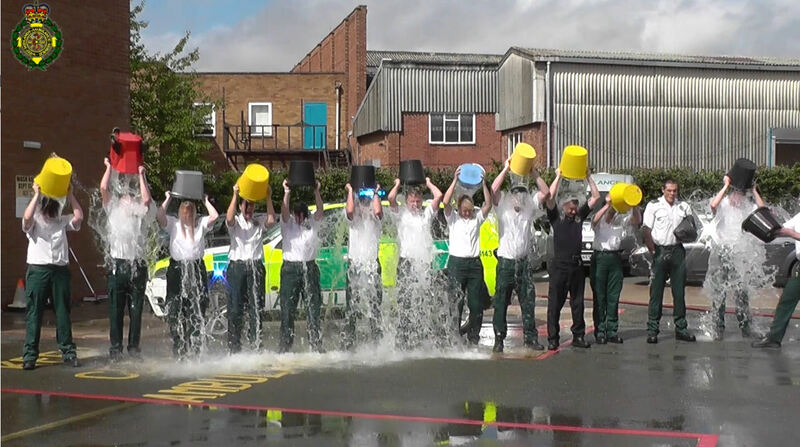 A fundraising campaign has been launched by volunteer lifesavers in Shropshire. Bridgnorth Community First Responders (CFRs) have their sights set on a response car to help them get to nearby patients in need while an emergency ambulance is en-route. Community First Responders are everyday members of the public trained by West Midlands Ambulance Service in a number of assessments and basic lifesaving techniques. They then make themselves available ‘on-call’ with the ambulance service’s control room in the event of a medical emergency in their area. There are currently six active CFRs in Bridgnorth. Tuesday 2nd September 2014 – 10.10am – Chris Kowalik. 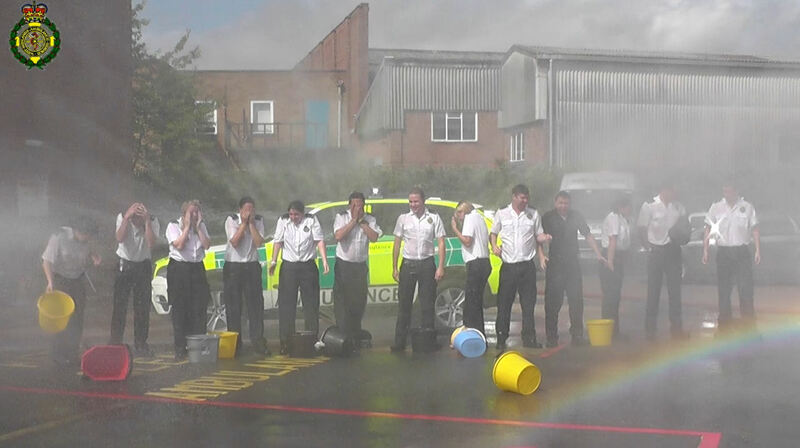 When West Midlands Ambulance Service staff in Warwickshire agreed to the ice bucket challenge, they wanted it to be extra special. So, the fire service got involved to give them another dousing. Started in America, the ice bucket challenge has raised £60million for ASL (Amyotrophic Lateral Sclerosis), known in the UK as Motor Neurone Disease (MND). The disease affects the brain and the spinal cord causing motor neurones to degenerate and die, leading to gradual paralysis and eventual death. As the buckets were turned over, Stratford’s firefighters turned on their hoses. You can see a video of the event at www.officialwmas.wordpress.com . Monday 1st September 2014 – 3.00pm – John Hawker. A woman has been rescued after slipping under a stationary train in Birmingham this morning. The incident occurred on platform 1A, New Street Station at around 8.40am. A rapid response motorcycle, an ambulance, a paramedic officer, a BASICS Doctor and the Trusts Hazardous Area Response Team attended the scene. A West Midlands Ambulance Service spokesman said: “Crews were called to reports of a woman who had slipped off the platform down the side of a train. “On arrival at the scene medics made their way under the train and treated the woman for the effects of a medical episode and also minor injuries. “The woman’s condition was stabilised and she was removed by ambulance crews and the HART team before being transferred by ambulance to City Hospital for further treatment. Monday 1st September 2014 – 8.45am – Chris Kowalik. 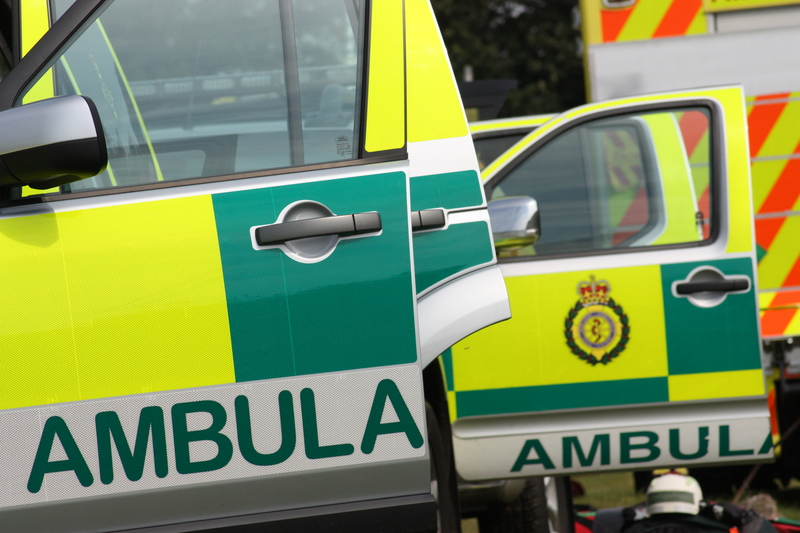 Four men in a car towing a caravan have been injured following a collision with a lorry in north Staffordshire. West Midlands Ambulance Service was called to the junction of the A50 and A521 at Blythe Bridge shortly before 6.10am today. Four ambulance crews, four BASICS emergency doctors, a paramedic in a rapid response vehicle and a paramedic area support officer in a rapid response vehicle attended. A West Midlands Ambulance Service spokesman said: “The car ended up between the jackknifed lorry’s cab and trailer. The caravan was smashed. The driver was the relatively most serious casualty with a chest injury, the others had minor injuries. “Because of the extent of the vehicle damage. all four were taken as a precaution to the major trauma centre at the University Hospital of North Staffordshire to be further assessed.